Neo-Futurist TIF HARRISON interviewed tonight’s INFILTRATION guests, MEDICINE WOMEN, an “ever-evolving choir mothered by Quinn Tsan and Jessica Marks.” Buy your tickets right now, and become captive. 1. If you google “Medicine Women,” the first thing that pops up is the question “Did you mean: medicine woman?” Do you always perform as a duo, or do you change it up? Do you ever invite others in to perform with you? Quinn and I choose the songs and make the arrangements, but we’ve sung with up to 9 women at a time. The form of Medicine Women is rather nebulous, and we structure the number to fit each piece and venue. 2. According to Wikipedia, a medicine woman is “a traditional healer and spiritual leader among American Indians, or Native Americans in the United States and First Nations in Canada.” Does this definition fit with how you would describe your sound and the work you do? Before we chose a name, all the women that sang with us and the two of us especially noticed the special healing power of singing together. When you sing with the group, because you breathe together, your hearts start to beat in unison. 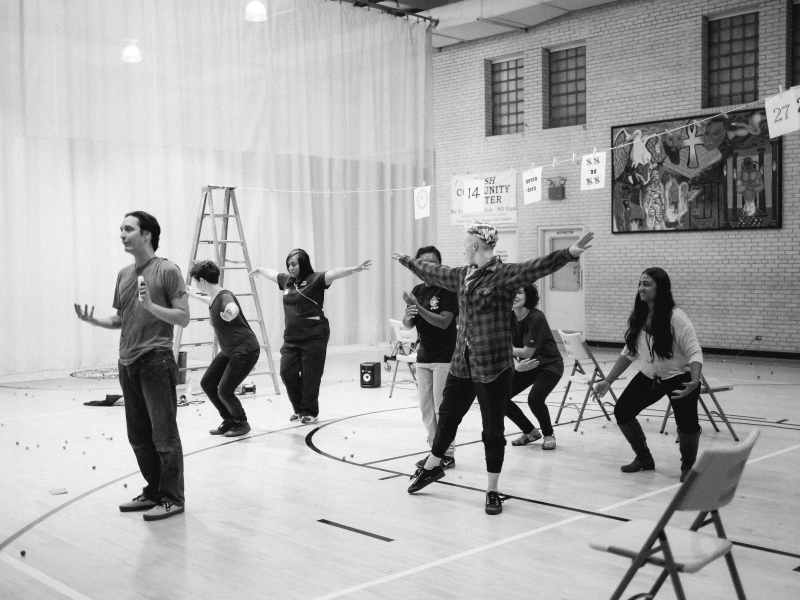 This magical energy is cultivated at rehearsals and surely shared with our audience members. We think the name is rather apt, even though it started as sort of a joke. You know, Dr. Quinn and the Medicine Women. 3. When I feel like I’m about to get a cold or am having trouble sleeping, I’ll make myself a mustard bath (equal parts mustard powder, baking soda with essential oils) and it will always works. Do either of you have a favorite home-remedy? Jess likes to put a tablespoon of tumeric into a glass of warm water, wait five minutes and drink it down at the first sign of illness. Also raw garlic and a shot of whiskey. Quinn tends to add cayenne to her hot tea and some honey for the throat. We’re very interested in creating an atmosphere of ritual in a space where it is completely unexpected. The Neo’s have a very particular brand of theatre that is completely immersive in some ways, and we aim to bolster that energy by forcing the audience to take our spoonful of harmonic sugar. 5. This isn’t a question; The photo of the two of you on your website is wonderful. It is visceral and evocative and made me whisper, “Whoa.” while doing data entry at my day job. Thank you for that.